I’ve been interested in typeface-design for quite some time. During my last BA college semester, I realized that this would probably be my last chance to take some time and design a typeface myself, before the work life returns. I knew it would be a time consuming project, demanding a whole lot of dedication – and yes, it was… and still is. This project is not finished yet. I’m still working on the last special characters, letter-spacing and some weights, but I thought it would be nice to spoil a little teaser right before the release. 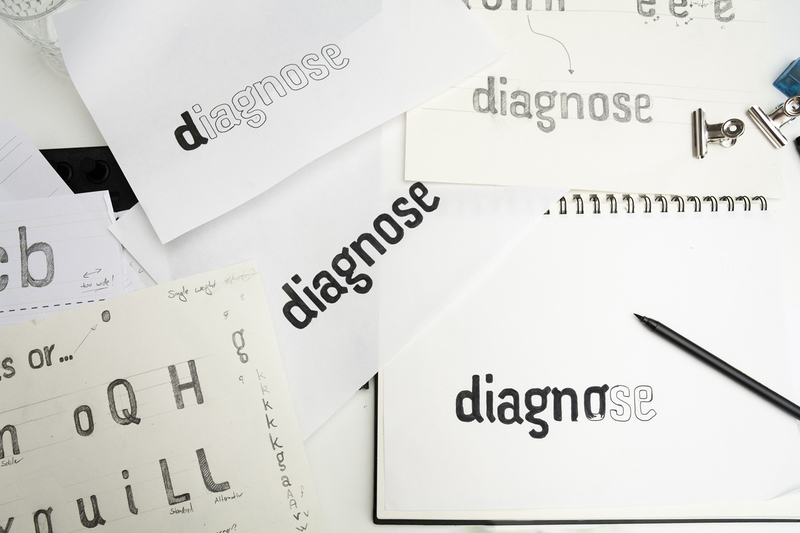 When I started freelancing in Design, and thought about my personal »Corporate Design«, I came to the conclusion, that I would love to have my very own corporate font. I love grids, minimalism and comprehensive design-systems as much as I love playful, smart and subtle details. My typeface was meant to look just like that: structured and clean, but still nonconformist. Techno with a punch of Rock ‘n’ Roll. 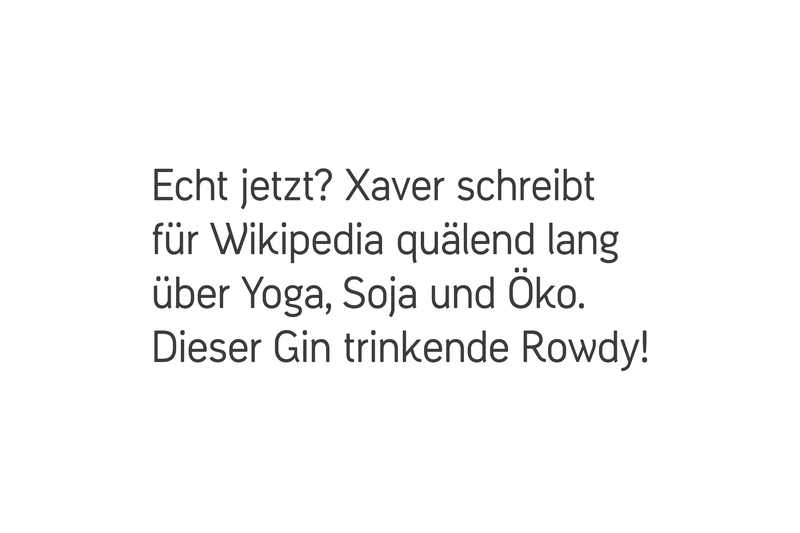 German with foreign roots. When I designed my personal wordmark (the one on the top left on this website), I created this special, curve-tailed »G«, which became the reference for the all of the letters. 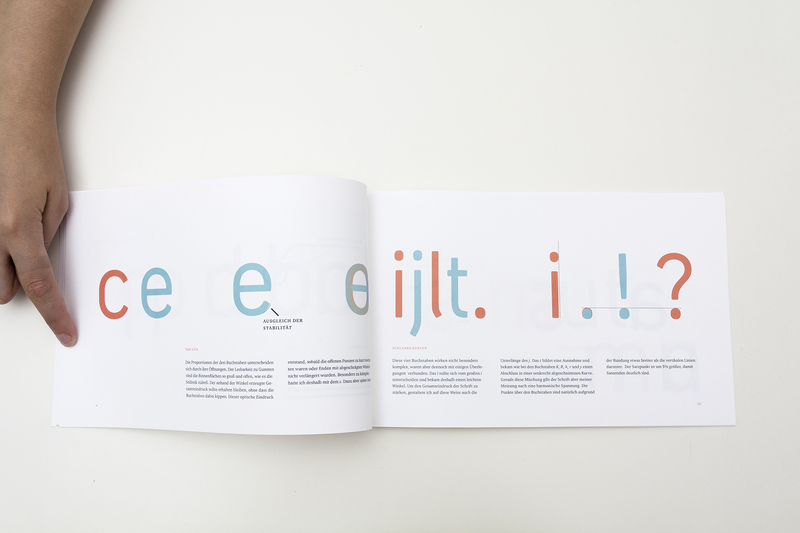 The result is an upright looking typeface with curved ends and rounded corners, that give it a more friendly character. 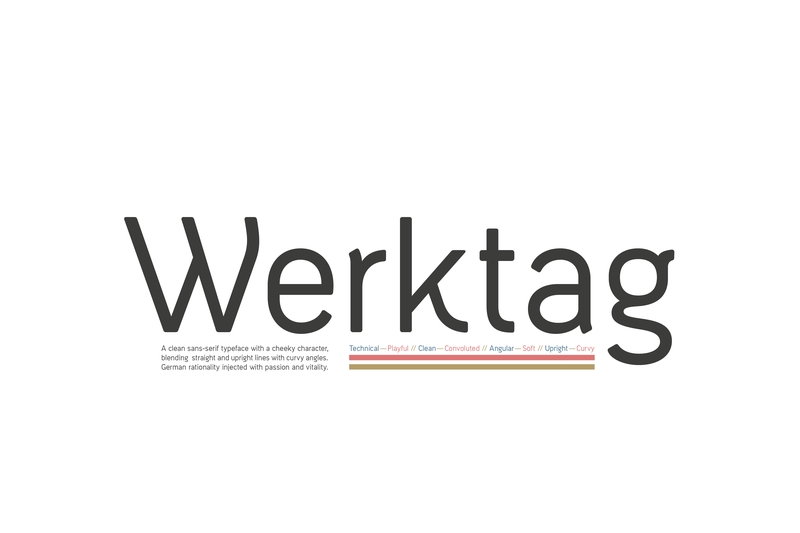 I chose the name »Werktag« (which is German for »Working Day«), since it showcases the most characteristic letters and also represents all the effort I invested working on this typeface. I’ll put a link here, as soon as the work is done.